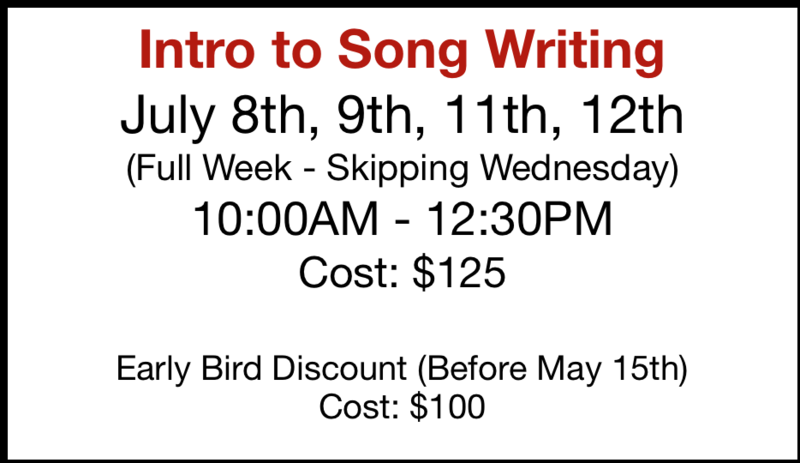 Take the Next Step and Click "Request Info"
Information: For ages 8+ Come begin, or learn to improve, your songwriting abilities! Creating music is an essential and rewarding next step to music education! Come learn how to use your instrument and basic music theory to easily come up with flowing chord progressions, meaningful lyrics, and catchy melodies. 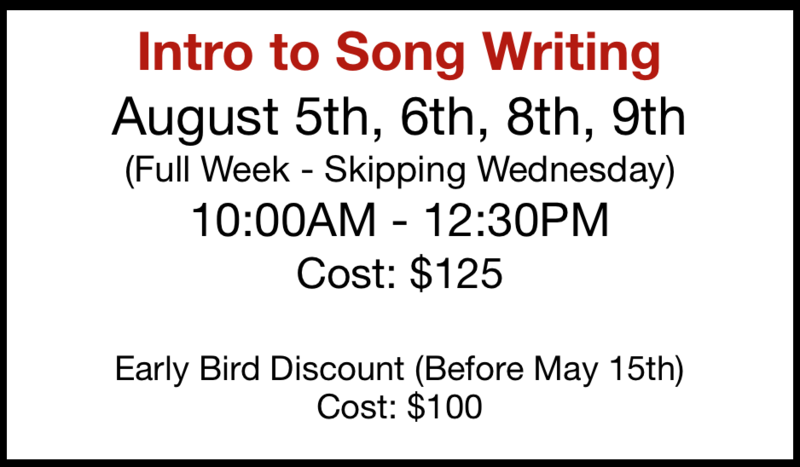 Each class will consist of basic theory, exercises, and writing lots and LOTS of music! What better way to spend a Summer morning than honing a life-long craft? Information: For ages 8-16. 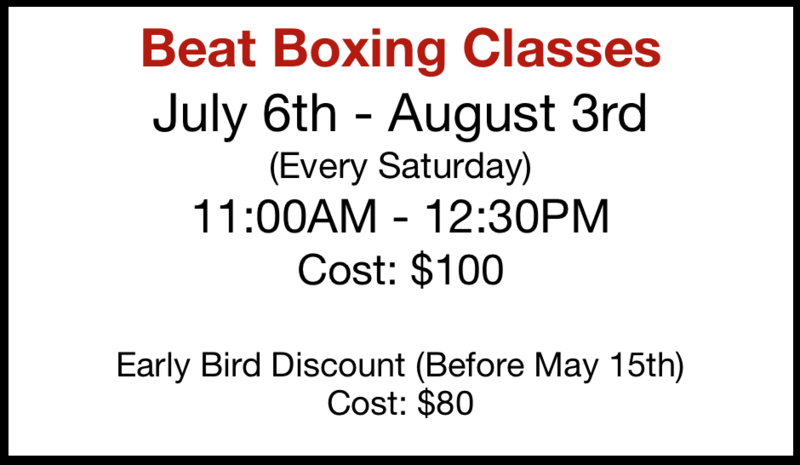 Learn the basics to beat boxing! From basic warm-ups, breathing techniques, and general know-how. To making basic and complex beats, generating specific sounds, and learning to express yourself through vocal percussion!